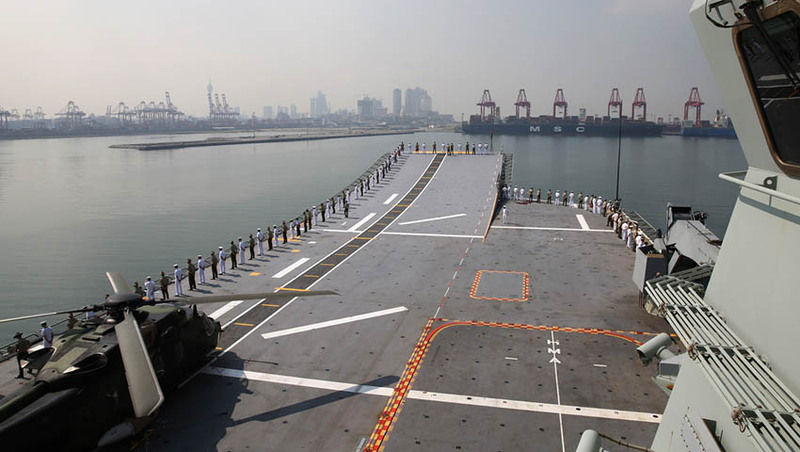 The Indo-Pacific Endeavour 2019 (IPE19) Joint Task Force has departed Sri Lanka following Australia’s largest Defence engagement activity with the nation. Defence Minister Christopher Pyne said IPE19 was a valuable opportunity for both countries to improve co-operation between the Australian Defence Force and regional defence partners like Sri Lanka. "Australia enjoys a long-standing relationship with Sri Lanka – over 70 years of close diplomatic ties – and both nations play an important role in the security and stability of the Indian Ocean region," Minister Pyne explained. "Sri Lanka and Australia share a responsibility for contingency responses to humanitarian and disaster events in the region, so it is important that these exchange activities formed a key part of the visit." "IPE19 is the Australian Defence Force’s premier international engagement activity, designed to enhance such mutual understanding. The economic prosperity of the region is built upon open lines of communication, stability through a rules-based order and mutual understanding," Minister Pyne added. Commander of the IPE19 Joint Task Force, Air Commodore Rick Owen, said Sri Lanka was an appropriate commencement point for IPE19’s international visit program. "Our engagement program provided us with excellent opportunities to learn from our Sri Lankan hosts, while sharing some of the capabilities the ADF has deployed on IPE19," AIRCDRE Owen said. "IPE19 is the ADF’s major regional engagement activity, delivering on the promise of the 2016 Defence White Paper to strengthen Australia’s engagement and partnerships with regional security forces," AIRCDRE Owen explained. As part of IPE19, ADF personnel will participate in a series of engagement activities and military training exercises during port visits to Indonesia, Malaysia, Singapore, Sri Lanka, Thailand and Vietnam.